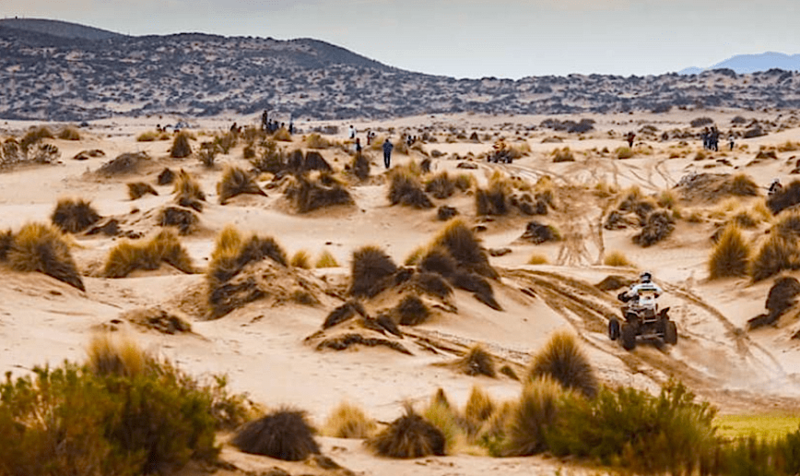 — The annual Dakar Rally is a long distance off-road race that takes place in South America. 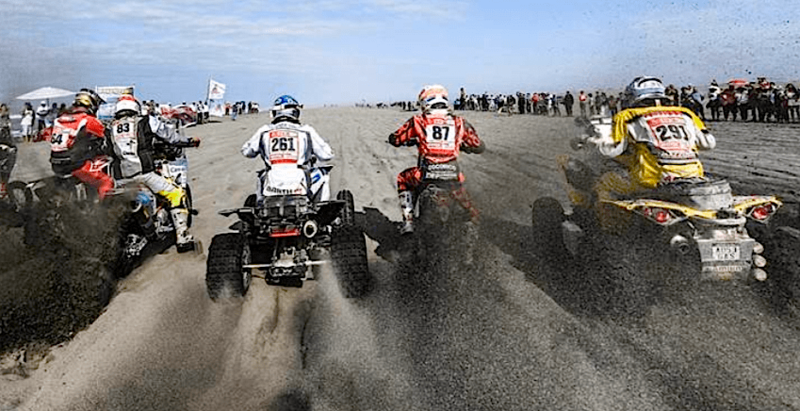 It attracts entries from the heartiest off-road racers from countries all over the world. 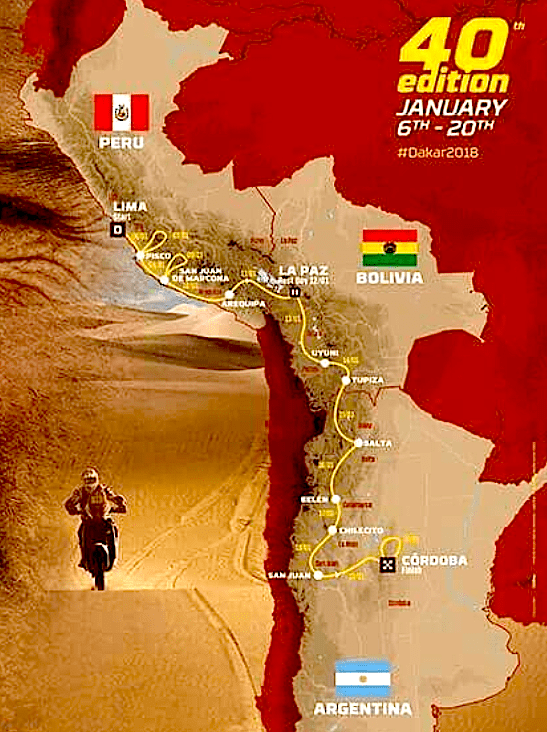 For 2018 the course was over 5,000 miles long and traveled across the toughest terrain in Peru, Bolivia and Argentina. It was divided up into 14 stages and required two weeks to complete. 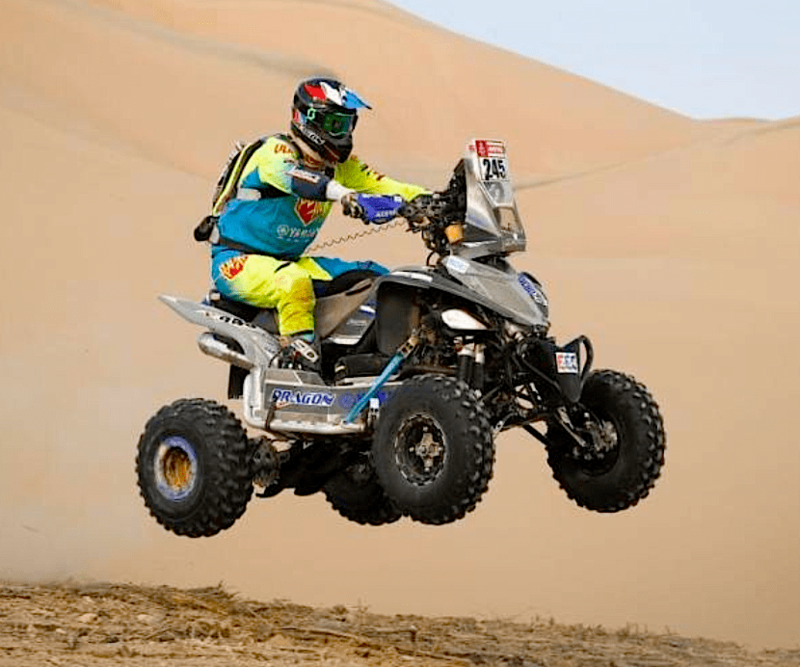 There are separate classes for dirt bikes, quads, UTVs, rally cars and trucks. 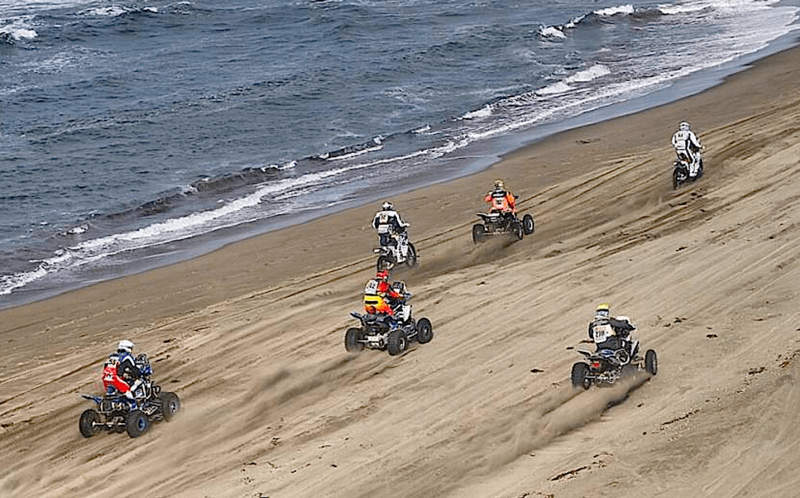 Every vehicle is modified for extra durability and to haul extra fuel, tires and spare parts. It doesn’t do you any good to go very fast through sections if you can’t survive the entire distance. 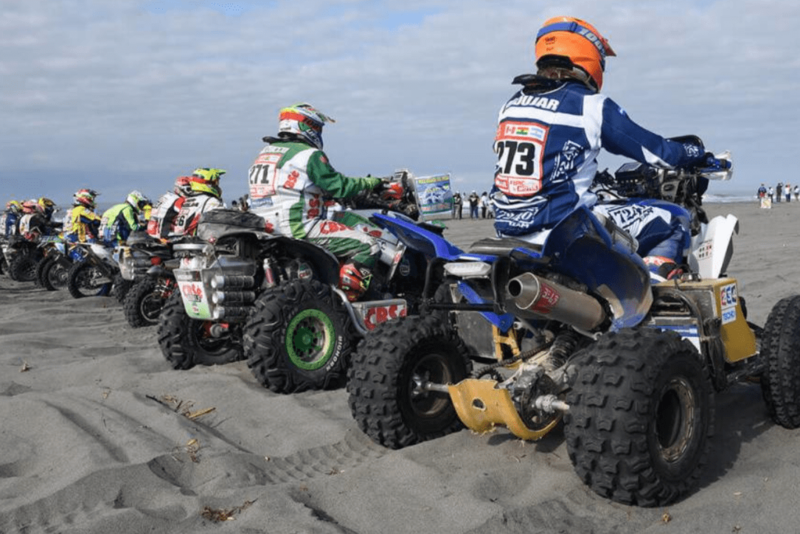 For the quad class, most of the machines entered were Yamaha Raptors. 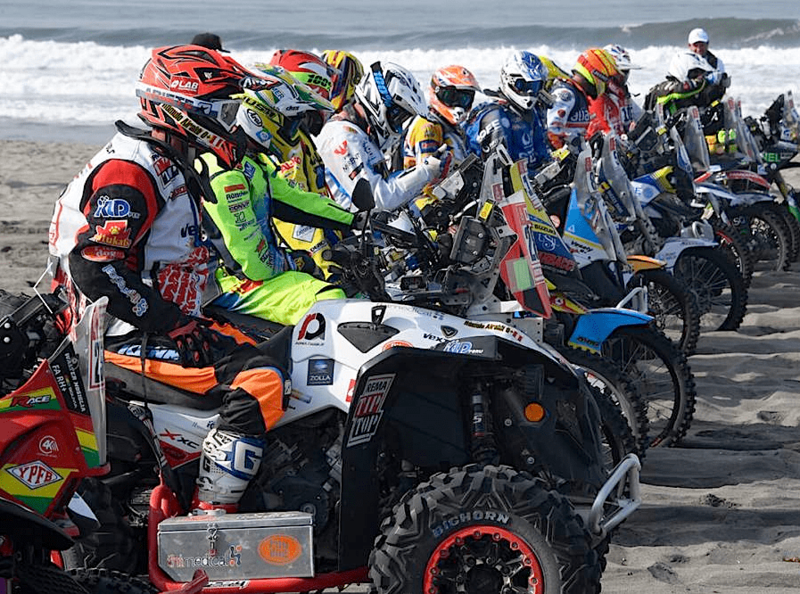 There were also some YFZ450Rs in the line up as well. 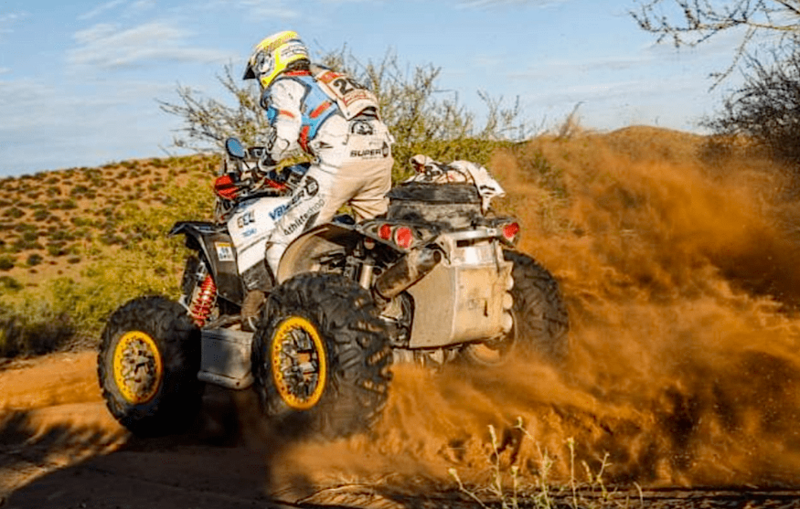 The second most popular quads in the Dakar were Can-Am’s Renegade 4x4s. 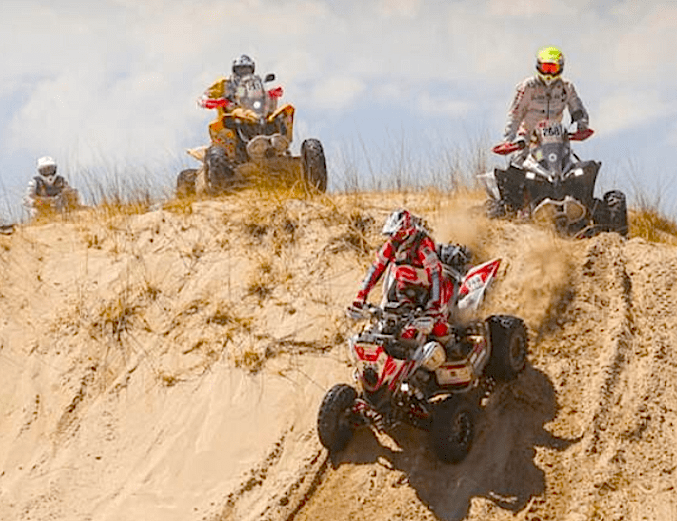 So, at the end of the 5,000 miles which machine won? 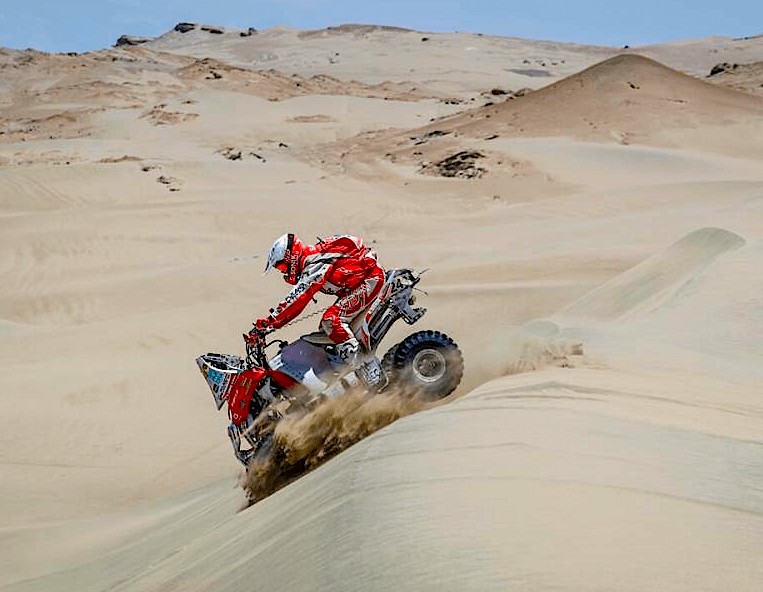 It was a Yamaha Raptor 700 ridden by Ignacio Casale. 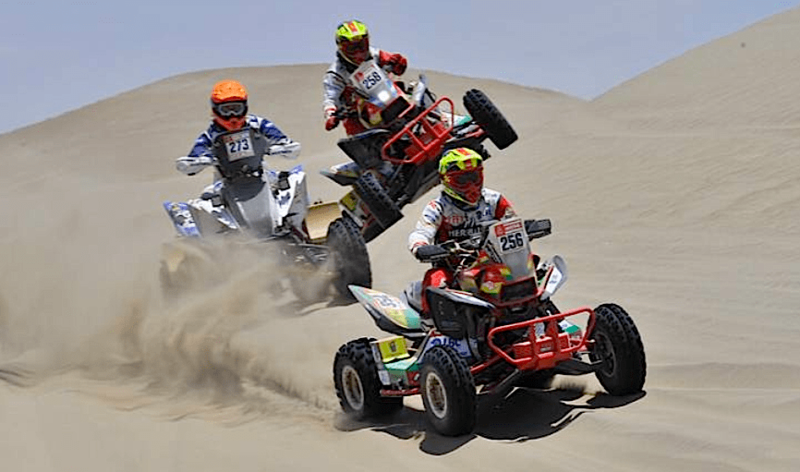 This was a year when the Renegade 4×4 quads didn’t do as well in the stage results as they have in the past. 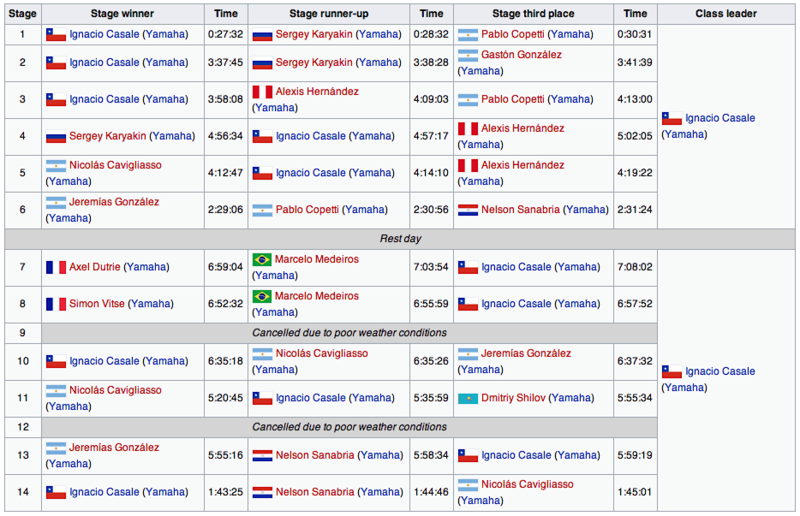 When you look at the results below, you’ll notice that Yamaha took the top three spots in every stage, and also the overall finishing order. Ignacio Casale is 29 years old and lives in the country of Chile. One of his sponsors is Elka Shocks and he was running their Stage 5s on his modified Raptor. 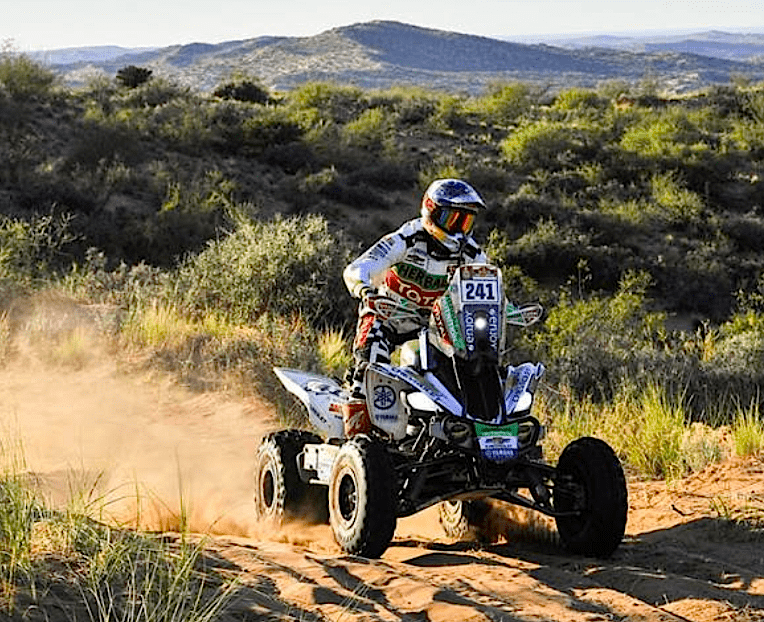 You’ll notice that all of the Dakar quads have a fairing bodywork added above the nose section which is designed to mount and protect the navigation GPS monitor. This electronic device is required so that the riders know which way the course goes. 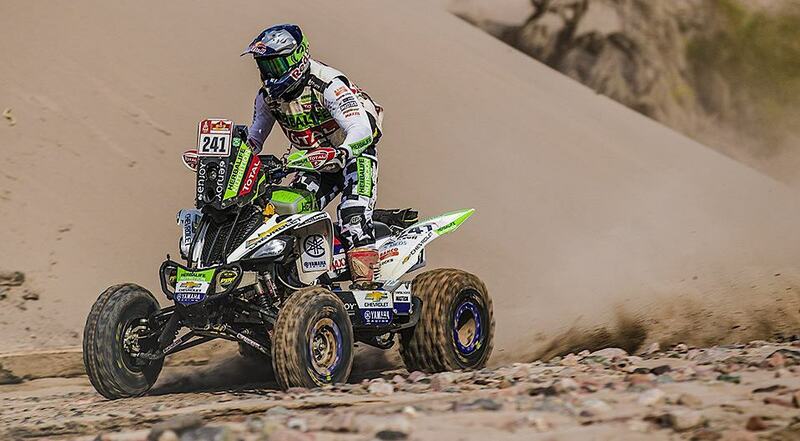 We have a gallery of photos below to give you an idea of what it’s like to ride the Dakar Rally. 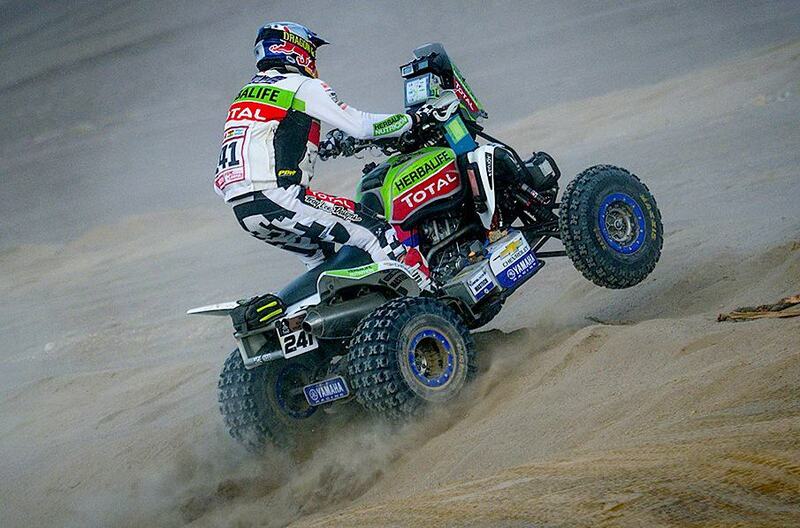 Take note of quad number 241 which is Ignacio Casale, the winner. 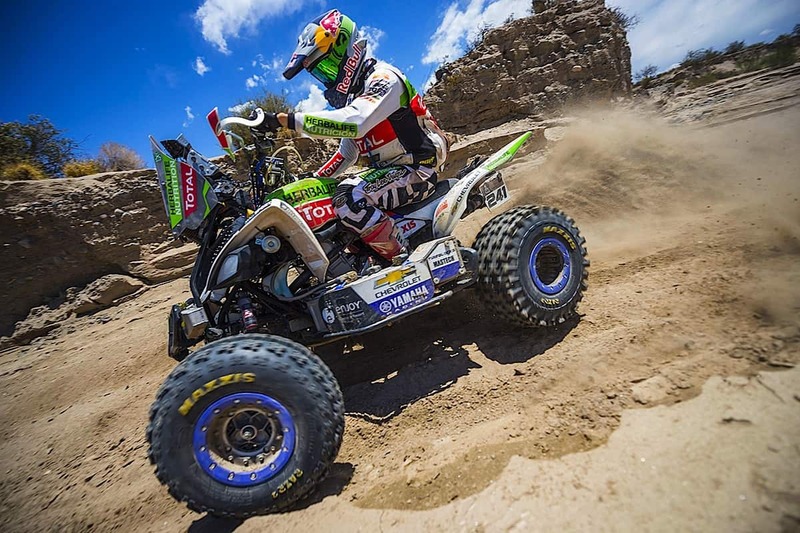 Be sure to also check out the 2018 Dakar Rally UTV Results!